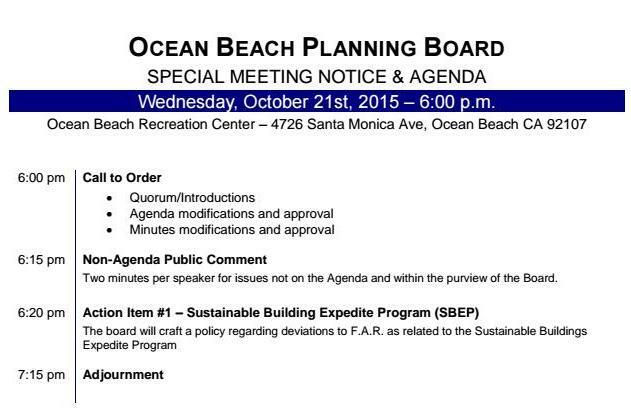 The Ocean Beach Planning Board is holding a “special meeting” tonight, Wednesday, Oct. 21. The one-item agenda is on the City’s “Sustainable Building Expedite Program” and whether the OB Board will craft policies allowing “deviations” to OB’s historic floor area ration (FAR) or not. Big is not better or GREEN!!!!! !